The village of Newtok, Alaska has become the latest Poster-child for man-made global warming proponents, as this story and this video from the New York Times detail. 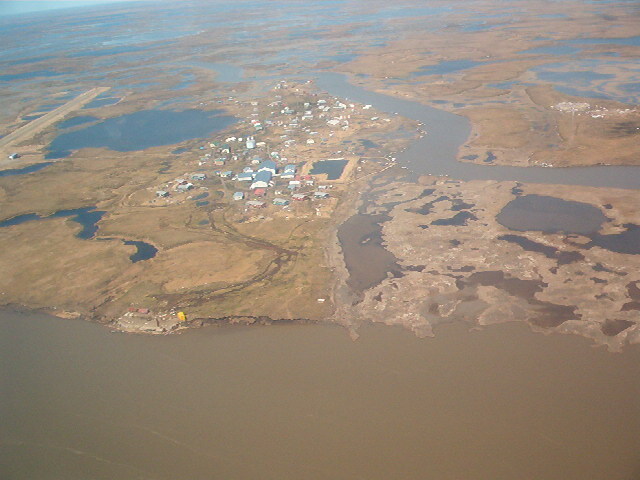 Erosion has made Newtok an island, caught between the ever widening Ninglick River and a slough to the north. The village is below sea level, and sinking. Boardwalks squish into the spring muck. Human waste, collected in “honey buckets” that many residents use for toilets, is often dumped within eyeshot in a village where no point is more than a five-minute walk from any other. The truth? Newtok is a native village in a bog-land river delta that has shifted and turned many times in history. The village moved ten miles in the 1950’s for the same reason: flooding and erosion. Prior to that, it was a winter camp only, because back then Natives were smarter — they knew it wasn’t good to live in a mosquito-infested bog surrounded by stagnant ponds teeming with bacteria from your own feces. It’s a harsh existence: the natives are huddled on the shore of the frozen Bering Sea in Arctic wind 9 months of the year, and mucking about in a mosquito-infested bog the other three months. 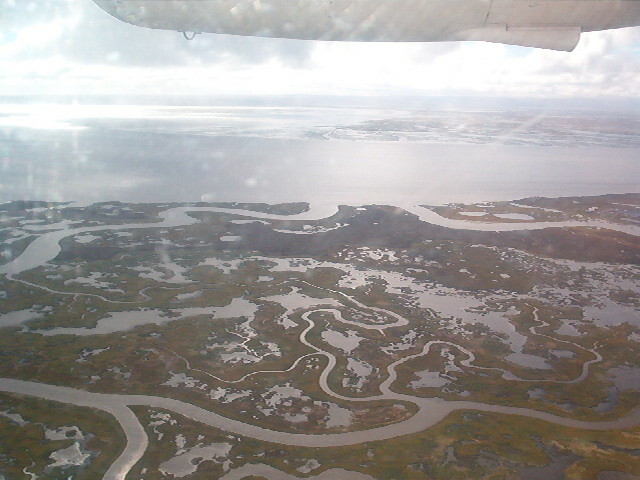 In the late 1950s, the village was relocated from Old Kealavik ten miles away to its present location to escape flooding. A school was built in 1958, although high school students were required to travel to Bethel, St. Mary’s, Sitka or Anchorage for their education. This was often their first exposure to the outside, and students returned with a good knowledge of the English language and culture. A high school was constructed in Newtok in the 1970s. A City was incorporated in 1976, but was dissolved in 1997. 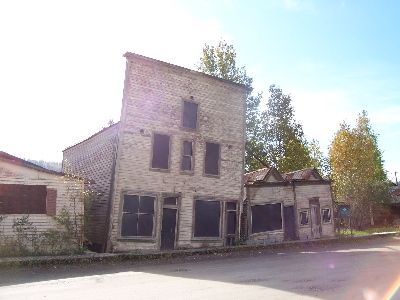 Due to severe erosion, the village wants to relocate to a new site called Taqikcaq, approximately 5 miles away on Nelson Island. The land is part of the Yukon Delta National Wildlife Refuge, and villagers hope to exchange land with the U.S. Fish and Wildlife Service. Minnesota is known as the “Land of 10,000 Lakes,” however the flat rolling tundra and plains of Alaska contain more than 100,000 lakes and ponds. Along with those are meandering rivers, creeks, and sloughs, all of which can change path in any given Spring breakup season. Flooding isn’t an occasional problem in Alaska, it’s annual. The other un-mentioned fact in the article is that almost all houses in Alaska sag and shift, because when you build without an insulating pad of gravel or other compensating design, the permafrost melts beneath the house or structure. Also not mentioned is that the house is as likely to rise from a winter frost-heave as it is to sink from permafrost melt. Where roads in Alaska travel they ripple and sag over time, and it’s unpredictable whether they will rise from frost-heaves or sag from permafrost melt. Driving them at high speed is an adventure in itself and akin to an amusement park ride. Research on better ways to build in Permafrost country has gone on since the start of construction in Arctic regions, but suddenly the melting permafrost is due to global warming. Farmer’s loop was just as ripply in the early 70’s when I used to drive it as it is now. The lifestyle of the villagers is odd contrast in modern times: they live in conditions worse for health than sub-Saharan Africans, Chitrali Villagers, or South American river indians right here in America. Does the NYT worry about that, or the poverty and conditions in the other locales? AGW is a very real problem, but trying to use Newtok as the example mis-states the problem. Newtok is built in about the worst possible place to build a village — a tidal mud flat at the edge of a river’s permafrost bog. Yeah, they ought to move these poor benighted people to solid ground, but don’t blame this on global warming, there are certainly better examples to use.